Always feel blessed and Thankful! Well, I really love to see people with brightening and whitening skin plus in smooth in healthy way. That's way I have a lil' dream, one day I'm gonna have that type of skin. I'm kinda addicted to whitening product to apply to my skin til become a bit stupid in purchasing something w/out thinking 1st. 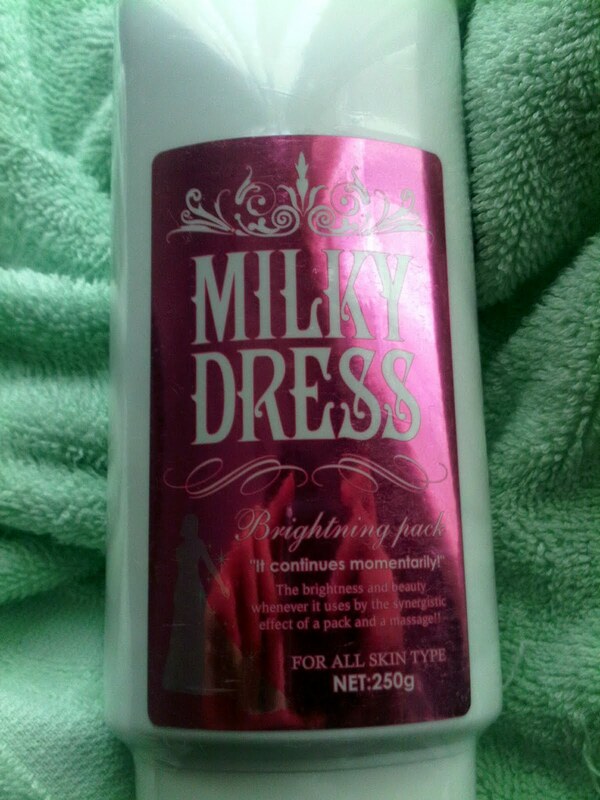 One day, I browse via net, I saw these product called Milky Dress Whitening Lotion, made in japan with contain 250g inside. I purchased these quite long time ago. I ask the seller whether these lotion as a daily lotion or only in several occasion purpose? She told me more often I used these more often my skin turn to bright and when I apply on my skin it won't look awkward. So without a lot of consideration I buy one. It cost me around IDR 375000 without shipping fee. When the things had arrived in my place, I directly trying applied it on overall my body. Geez, U know what?these things really make me look awkward. 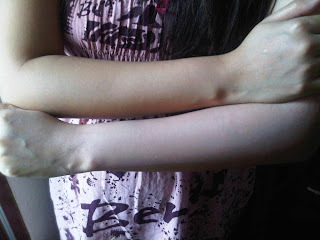 Its not natural white color that appear on my skin instead it make me look like a clown or theater dancer. I'm gonna show u the texture of cream, feel creamy like cake cream but not oily. Maybe in these picture, U can see how natural it is. But not in person. 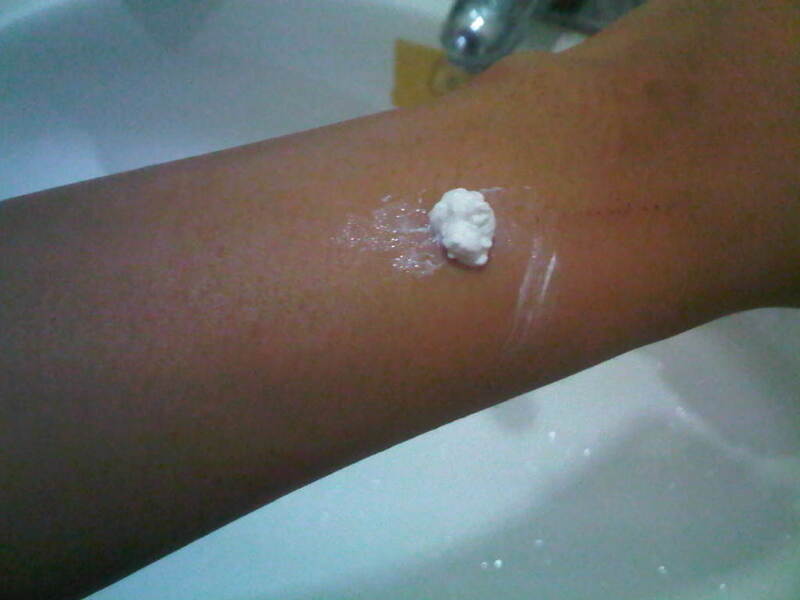 These lotion ever embarrassing me when I try to apply on my leg, I'm quite sure I put it on overall my leg, but after few minutes, it turn my leg to the weird color and become the center of attention. Gee..